Star Celebrates 1st Year of Domestic Products - New! We are very proud of what we have been able to achieve in such a short period. And we could have not done it without the support and backing of our customer partners. 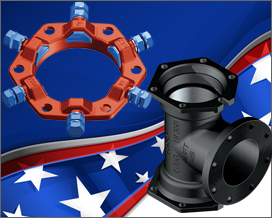 We are committed to manufacture both domestically and globally for the Waterworks Industry for a long time to come. To read more about this, please see the September edition of Star News. 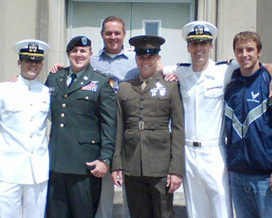 Pete Lisowski, North East Division Manager, currently has five sons serving in the armed forces, four of them as officers and one as an "officer in training" in the Air Force ROTC at the University of Dayton. They were featured this past Memorial Day in Scranton's Times Tribune. To read this article, please see our September edition of Star News for the link. 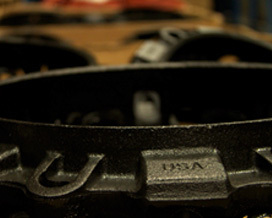 Star has American Made utility fittings and joint restraints now in stock. Contact your local representative for more details. Joint Restraint Products (JRPL.11.01A) New! AWWA Grooved Products (GRVPL.10.01) New!